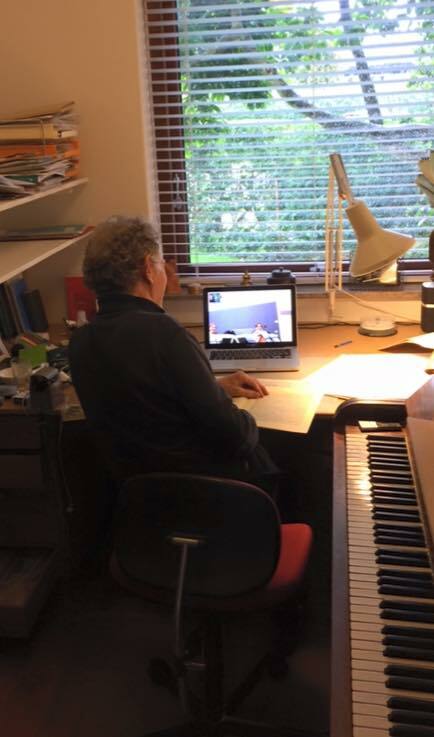 Hans Abrahamsen, I assume in his studio, I stole it from his Facebook site. If you don’t live in a museum, and you love music, you may have heard of the music of Danish composer Hans Abrahamsen - born 1952. If you do live in Bach’s time and only ever expose your ears to music that conventional orchestras around the world play ad nauseam, you might want to try refreshing your playlist with a bit of Abrahamsen, or any of the other living composers whose works are fresh, invigorating and multidimensional. “New Simplicity”, is a title for a style of music that arose around the mid-1960s. And it does what most titles do, tell you nothing about the style. What happened to simplicity? Why did it die out? Supposedly New Simplicity was a reaction to the complexity of Central European avant-garde music. This is what Abrahamsen’s music was once described as. If you’ve heard any of his music, new it is, simple or simplistic it ain’t, regardless of whether simplicity has anything to do with being simple. Like I said, titles are only a reaction to other titles, they are all meaningless. I’m not going to offer any facts or quotes about his music, listen to it. Music is not only abstract, it’s also factless. Like all music, Abrahamsen’s stuff speaks for itself, but what it also does, it pricks up your senses, new things often do, you might be surprised. If you want to hear a good dose of Abrahamsen, you could start with one of his string quartets, but to get to the meat and potatoes of his music, try his Traumlieder. It will only kill about 14 minutes of your life. It’s in six pieces, no, not movements, that’s for Beethoven’s music. This stuff is dreamy, it’s dark, it’s death like especially the funeral march, but it’s not all blackness, the mysterious scherzo is bright, and it moves as quickly as a new meme on the internet. Once you’ve woken up out of that dream, try moving on to his seven-part song cycle Let me tell You, and let me tell you, unless you’ve got something other than blood in your veins, this will move you. Schubert would have loved this work, it covers his gamut, subjects and colour, and more. 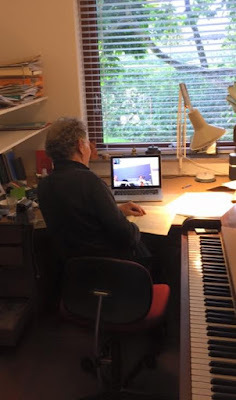 You won’t have any trouble finding Abrahamsen’s music, listen to it, listen to it all and maybe you’ll open a door, not into a museum, but into a hall of living music.